There are some fresh faces at the barre in 2019, and we've been busy collecting their inside stories. Come behind the scenes as our new recruits strike a pose at our portrait shoot, and get some details on their backgrounds. Sara is from a Bosnian background, and was born in Germany. Her mother enrolled her in ballet classes at the age of five to burn off her excess energy. At first she hated it, and she didn't become serious about it until she was twelve. Sara trained at The Australian Ballet School. This is her first official year with the company, but she has danced on our 2017 regional tour of Giselle and in Storytime Ballet: The Sleeping Beauty. Sara loves exploring gardens, particularly with her puppy Alfie along. Her dance inspirations are Olga Smirnova and Ulyana Lopatkina: "I admire their artistry and broad movement qualties." 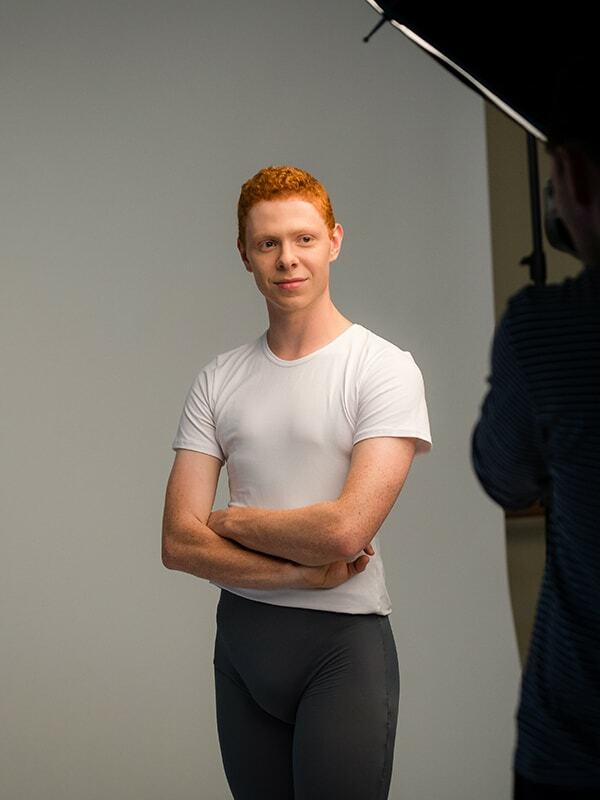 Tyson has been teaching ballet for six years, and hopes one day to teach at The Australian Ballet School or to open his own school. When Annaliese was very small, she got the DVD of Annie for Christmas and watched it obsessively. She begged to be taken to dance classes, and began ballet at the age of five. She went on to study at the McDonald College and The Australian Ballet School. She has danced with us on our regional tours of Giselle and Coppélia. Fun fact: Annaliese's great grand-aunt, Solomiya Krushelnytska, was a famous Ukrainian opera singer; she appeared in the first production of Puccini's Madame Butterfly. Annaliese's grand-uncle is a composer and still conducts, writes music and performs at the age of 80. Jacob grew up in the Dandenong Ranges and on Philip Island, in Victoria. He began dancing at the age of eleven, with jazz and tap classes. He trained at The Australian Ballet School. Dancing is in Jacob's blood: his grandparents were ballroom dancers, and won the Australasian Championship when they were only 19. Jacob is inspired by Russian dancers. "They use all their extremities, from fingers to head to toes. I find that beautiful." 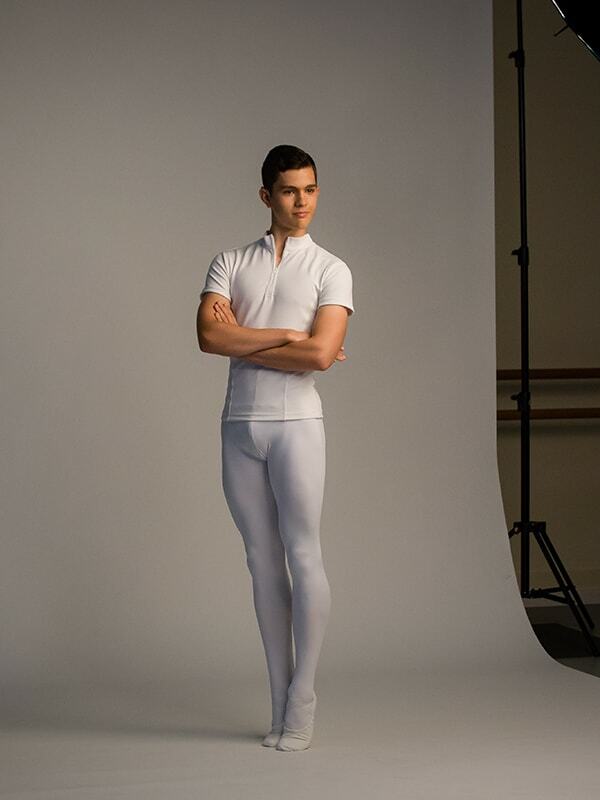 Thomas is from Auckland, New Zealand, but studied at The Australian Ballet School. He danced on our regional tour of Coppélia in 2018. 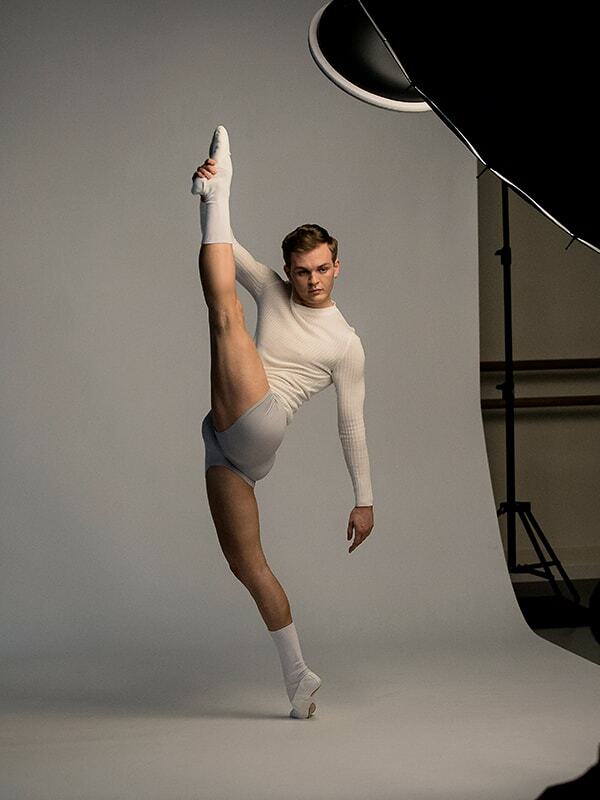 His dance hero is Edward Watson: "I admire not only his incredible facility and ability, but the keen intellectual and emotional understanding he brings to every role he performs. He doesn't just perform the role, he becomes that person." Thomas is an avid reader, particulary of fantasy and non-fiction, and hopes one day to become a doctor. He was born with profound bilateral hearing loss, and has cochlear implants in both ears.